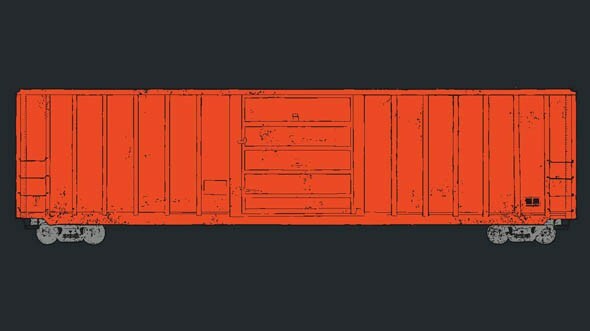 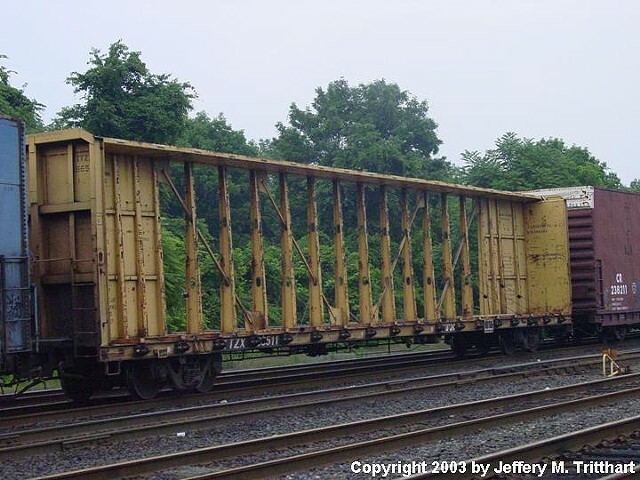 Inspired by the fabrication of rail cars, “Box Cars” is a collection of manipulated antique chemistry boxes. 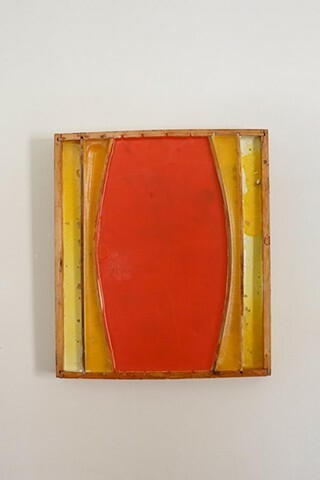 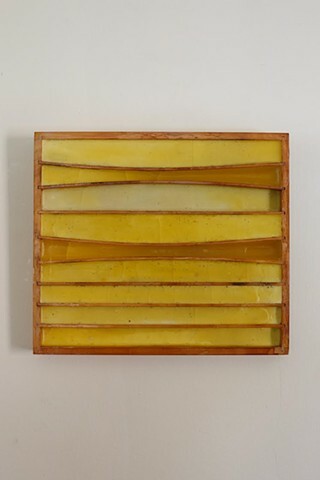 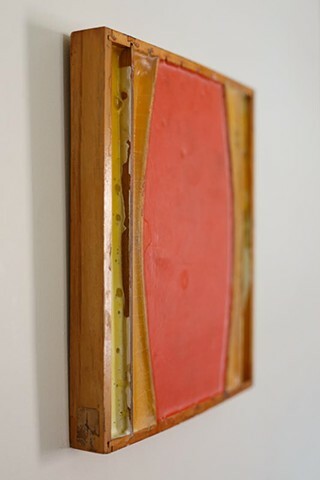 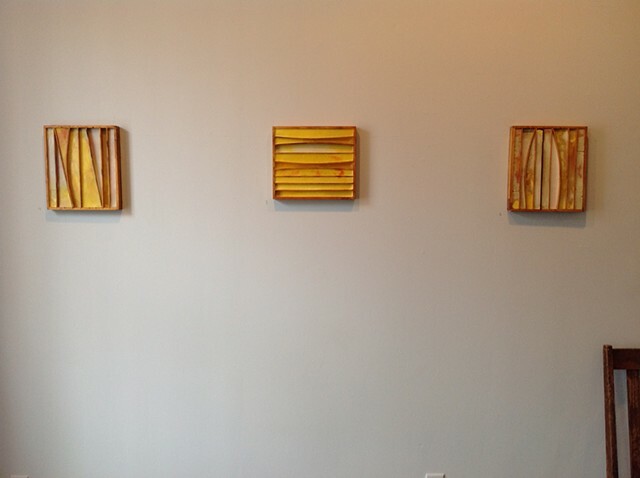 The profound alteration of these boxes is achieved by rearranging the original 1/8” dividers and filling otherwise empty space with plaster and pigmented wax to determine both shape and form. 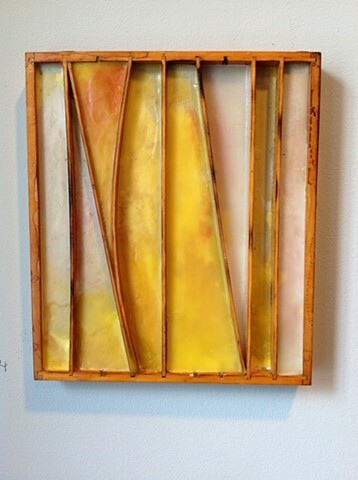 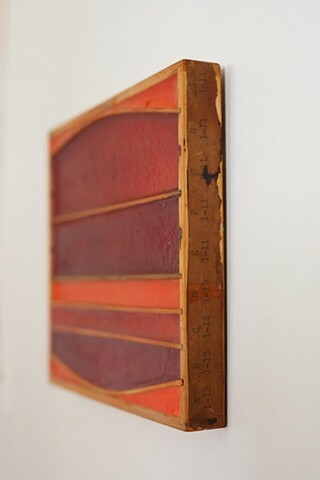 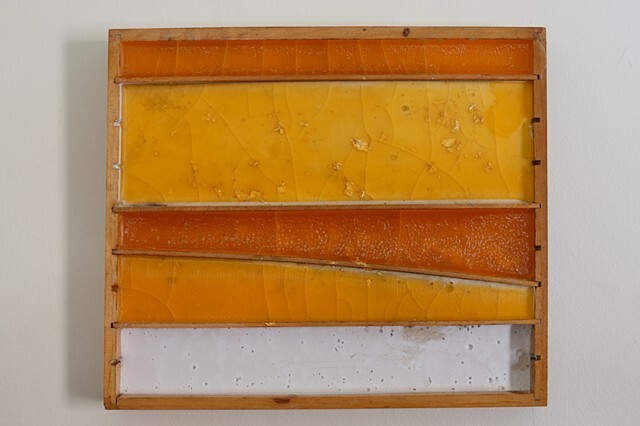 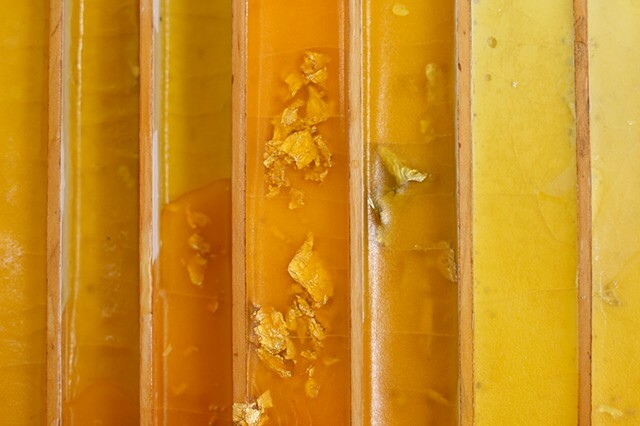 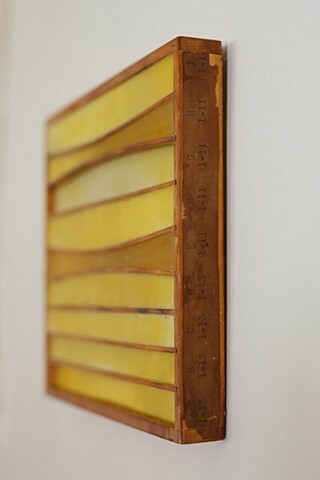 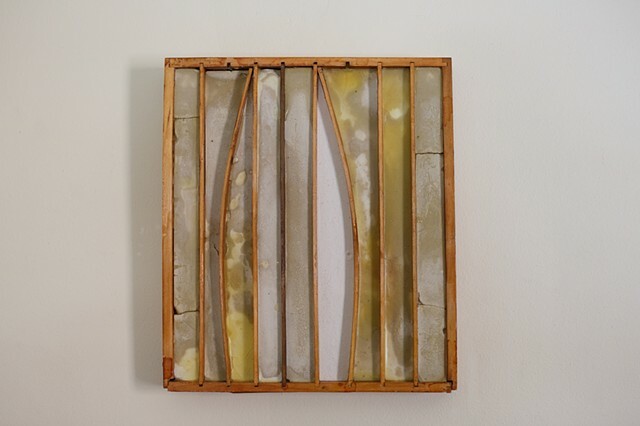 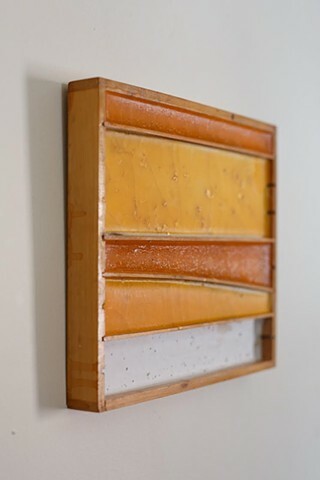 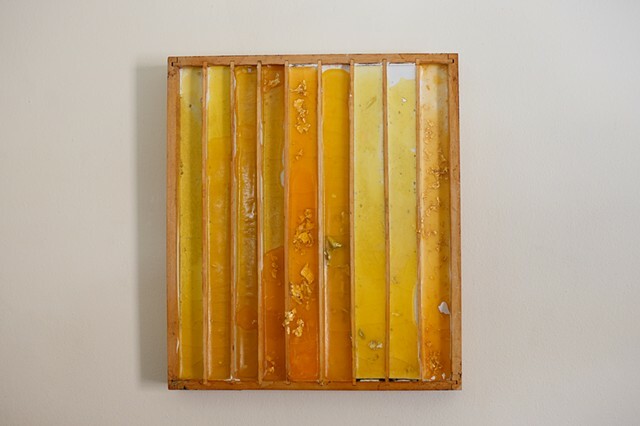 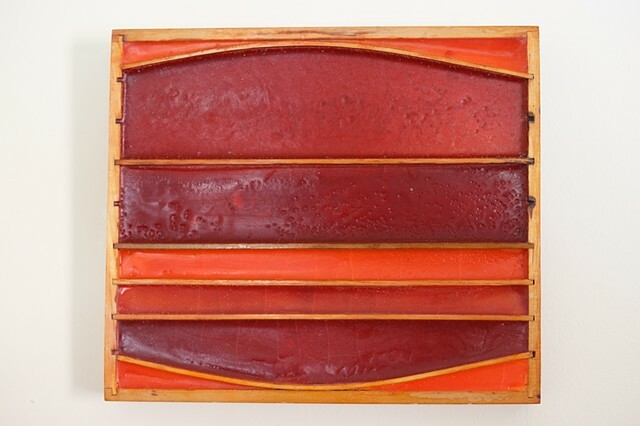 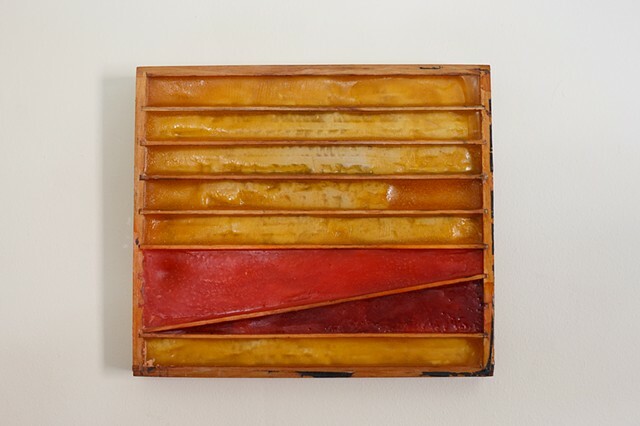 This work lies somewhere between painting, drawing, and sculpture, and is at once reminiscent of rail cars, lab experiments, and stained glass windows. 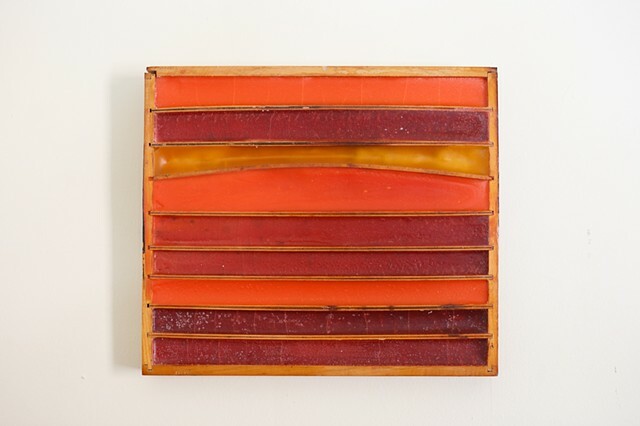 In short, this work is a merger of art, science, and spirituality.